Love is the air in Coachford The Coachford Post Office and supermarkets have a huge range of Valentine cards available for this weekend and the postmen and women are expecting to be very busy this Friday. 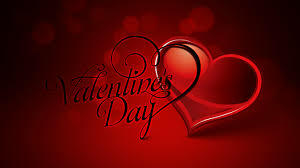 Flowers, chocolates and other goodies for the love of your life are also available in the shops. The Coachford Pharmacy has some beautiful gift ideas and vouchers are available from ‘Stylz’ Hair Salon and Beauty Rooms for making the most beautiful person in your life even more beautiful. A huge local wedding is taking place this weekend in the Riverside Hotel in Macroom. The nuptials of miss ‘Jim’ma Cunningham, Anglers Rest Bar, Carrigadrohid to Mr. Pat Snooty O’Riordan of O’Riordan’s Bar Coachford is the most eagerly awaited wedding for years. A huge amount of guests are expected at The Riverside Hotel on Saturday night to make sure that the two actually tie the knot. The Bride and groom have not always seen eye to eye and it comes as a huge surprise to many that they are actually going ahead with the wedding. Bets are already taking place on how long the partnership will remain in place with some expecting divorce proceedings to begin as early as Sunday morning. 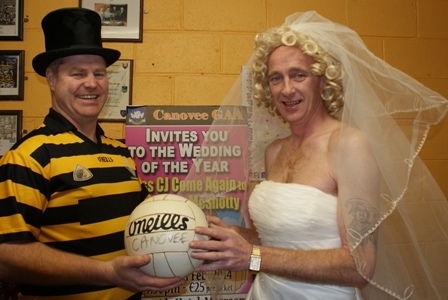 Canovee GAA are looking forward to the ceremony and hope that as many people as possible attend the mock wedding on this Saturday night at 7.30pm. Tickets for the wedding are available from any club officer or even from the groom on 087 2764430. It promises to be a great night and the sight of the bridesmaids, mother of the bride and best men should be worth the admission price alone. Food Market The Coachford Local Market takes place next Saturday, February 15th from 10.30am to 1.00pm. You’ll find Fresh local Produce, Arts and Crafts, Gorgeous Cakes, Unusual chesses, Excellent Coffee and a place to meet friends and neighbours. The members of the new Foróige club in Coachford elected their officers last week. The new officers are; Chairperson Amy Ryan; Secretary, Ciara Corkery; Treasurer, Mary Cronin and Public Relations Officer, Leah Buckley. Voting was very competitive with more than two people going for each position. The post of PRO was the most popular position with six people being nominated for the role. Each officer has the help of an assistant. Vice Chairperson, is Tadgh Bradley, Analese Roche is the assistant Secretary. The assistant treasurer is Marc Dineen and Luke Casey was elected as assistant PRO. Aghabullogue intermediate Footballers are due to travel to Youghal on Sunday for the fist game of the league. The fixture like many other events is subject to the weather conditions. Bingo and Poker Bingo continues every Tuesday night in O’Riordan’s Bar from 9.00pm. It’s a great night out and the prize money is superb. For the more serious and skilful gamblers ‘Texas Hold ‘em Poker’ takes in the same bar every Thursday night from 9.30pm. This is a great game and the thrill of having playing chips in front of you gives you a feeling of being in one of the top casinos in the world but with less of the risk of losing your shirt. This entry was posted in Useful Numbers and tagged Amy Ryan, Analese Roche, Canovee Wedding, Coachford, Coachford AFC, Coachford Foróige, Coachford Post Office, Foróige, Jack Murphy, Jim Cunningham, Leah Buckley, Luke Casey, Marc Dineen, Mary Cronin, Pat O'Riordan, Snotty, Tadgh Bradley. Bookmark the permalink.